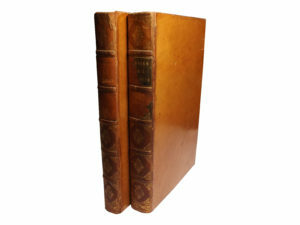 Edgeworth, Richard Lovell and Edgeworth, Maria, Memoirs of Richard Lovell Edgeworth Esq. 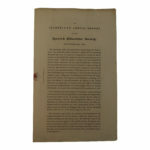 Begun By Himself and Concluded By His Daughter Maria Edgeworth, R. Hunter, London, 1820, First Edition, Good. Full Calf, 8vo. 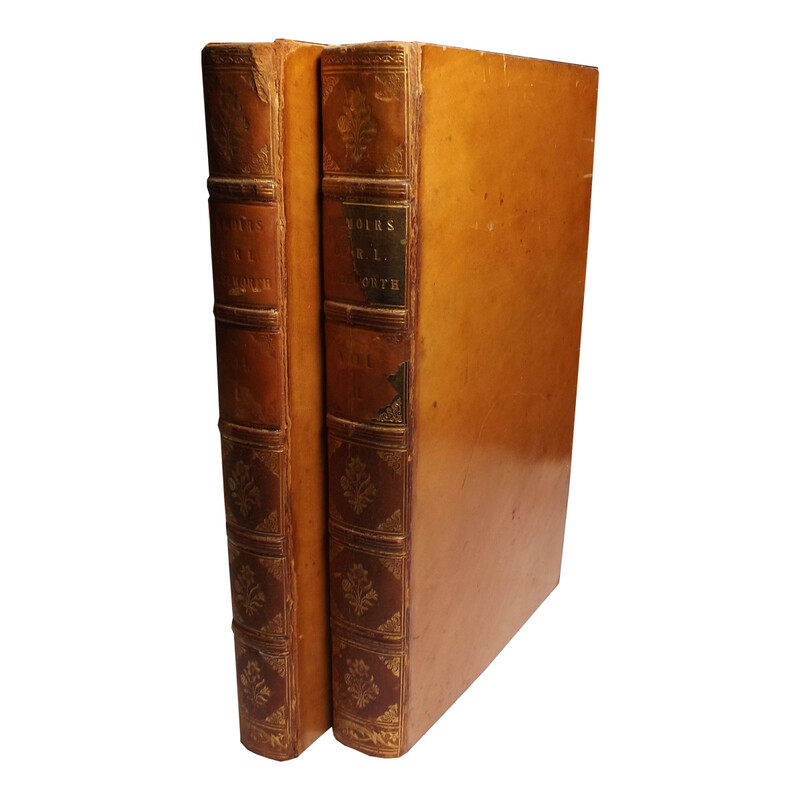 Two volumes complete – Volume One – 392pp and Volume Two – 498pp. Full calf, raised bands spines in six panels, (remnants of) leather title labels to second and third panels, central flower device to centre and volute corner pieces in gilt to remaining panels. Outer joints rubbed, split to foot of front outer joint of volume one which is quite weak, leather labels to spines effectively absent. Some light browning/foxing to portrait frontispieces and titles, front inner joint to volume one slightly cracked between pages 2 and 3, some light sporadic foxing to text, but generally fairly bright and clean. 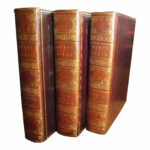 Engraved portrait frontispieces to each volume, with two further engraved portraits to text and five facsimiles of drawings by Charlotte Edgeworth to the rear of volume two.